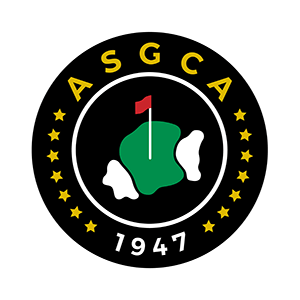 The American Society of Golf Course Architects (ASGCA) is firmly committed to safeguarding the privacy of our members and web site visitors. The following information discloses our information gathering and dissemination practices on our web site. If you have any questions regarding the areas discussed below, please contact us directly. Our site’s contact and subscription forms require users to give us contact information such as their name and e-mail address. Contact information is used only to respond to a direct inquiry or opt-in to your e-mail list. At no time will your contact information be sold, traded, leased or borrowed to third party vendors. Our site contains links to other sites to enhance the value and depth of our site generally. The American Society of Golf Course Architects (ASGCA) is not responsible for the privacy practices or the content of such web sites. The American Society of Golf Course Architects (ASGCA) does not locate sensitive or transmitted information on our web server. All information submitted to us through our web site, either through web-based forms or e-mail, is held strictly confidential. The American Society of Golf Course Architects (ASGCA) is not liable for adverse circumstances arising from your relationship with PayPal. Your credit card information is used only for your purchase. Your transaction is processed in a secure environment, and no sensitive or financial information is returned and stored on the AIA web server.